Buying a new home is the ultimate thrill, especially when you have the opportunity to customize it to suit your wants and needs. Unfortunately, the wrong builder might vastly exceed price estimates and timetables or fail to communicate with you. Worst of all, the end-result might be sub-par. It is hard to believe, but yes, GHO Homes has been working hard to create new opportunities for the residents of Indian River County and has announced 4 communities open for new home sales already this year. Laurel Reserve in Sebastian, Venezia Estates and Bella Vista in Vero Beach and Orchid Cove on the Island in Vero Beach. The opening of sales in these new communities ads a new range of homes and locations that currently are not offered by GHO Homes. GHO Homes is well known across the Treasure Coast by prospects looking to purchase and build the home of their dreams. However, did you know that they plan, design, and build homes to have ready for those buyers looking for a home now and do not have the time to build? Have you been looking for an opportunity to live in the perfect location with tennis, golf, beach club, clubhouse, fitness center, close to the beach and all the lifestyle of downtown Vero? You probably think, that you couldn’t do this for less than the 400s, but you can with GHO Homes at The Boulevard. This weekend GHO HOMES is opening their new St. Lucie Collection model, The Marlin, to the public and celebrates with GRAND OPENING INCENTIVES. The new Marlin model is located at 3025 SW Savona Blvd, in Port St Lucie and will be open Saturday 10 - 5 and Sunday 12 to 5 AND open on Labor Day from 10 -5. This will be the first time anyone - ever - will have seen this new model and they are excited to show it off. “We have created a new series of plans just for Port St Lucie. The Marlin is a 3 bedroom, 2 bath, 2 car garage homes that can easily be modified to a 4 bedroom, 3 bath, 3 car, or a 5 bedroom, 3 bath, 2 car garage home. Creating a home that fit’s everyone’s needs at a price that fits the Port St Lucie market” says Bill Handler, President of GHO Homes. He continued, “We have taken our best features and incorporated them into the standard home to give you a house that you deserve and you can also afford”. GHO Homes Marlin model series starts at just $243,990 and includes $25,000 towards the purchase of your home site. If you currently own your own lot - that makes the base price of the home $218,990 plus the cost of clear and fill. That is just an exceptional price for a home that has all the features GHO Homes is offering in their standard plan. GHO Homes consistently leads the pack when it comes to standard features in their homes and with what they have included in their St Lucie Collection series you will definitely be ready to buy your new home from GHO Homes. The St Lucie Collections includes impact glass windows and doors, R40 insulation, granite or quartz kitchen countertops, 42” upper kitchen cabinets, a full kitchen appliance package of GE stainless steel appliances, tile walk-in master bathroom showers, tile in all living areas (except bedrooms & dens) high ceilings through out the homes, 8’ interior doors, paver driveways, walkways and patios, irrigation system and don’t forget the Impact Windows and Sliding Glass Doors (yes, I know, we said it twice!). When you shop builders in Port St Lucie, GHO Homes breaks the mold - their floorplans, standard features, and the ability to tailor the home to your needs through the Tailor Made Program continue to keep them one of the best value’s in St. Lucie County. Vero Beach, FL GHO Homes has announced that they have purchased the remaining property in Paladin Place, on SR510 in North Vero Beach, and is relaunching the community under a new name, Summer Lake North. Summer Lake North is just 5 minutes from the beaches and just minutes from the shopping and dining of Vero Beach, Sebastian and the Island. Gives the company its first footprint in Florida's Treasure Coast. If you have driven south on 58th Avenue, at any time in the past, you would have seen the fenced in future neighborhood sitting and waiting for the right builder to come along. Over the past year, you have seen activity generated, construction begin, and life begin to bloom while you waited and watched for news on what was going to be behind those walls. “We are pleased to announce the opening of the first phase in Segovia Lake has been well received, so much so that we have opened the second phase for sale.” stated Bill Handler, President of GHO Homes. If you have driven south on 58th Avenue, at any time in the past, you would have seen the fenced in future neighborhood sitting and waiting for the right builder to come along. Over the past year, you have seen activity generated, construction begin, and life begin to bloom while you waited and watched for news on what was going to be behind those walls. “We are pleased to announce the opening of the first phase of our newest Vero Beach neighborhood, Segovia Lakes.” stated Bill Handler, President of GHO Homes. Segovia Lake, located just south of SR 60 on 58th Avenue SW, will feature 82 homesites surrounding a beautiful lake, community clubhouse with meeting room, fitness center and community pool, gated entry and a location that is, literally, in the heart of Vero Beach from just $257,990. Segovia Lakes will offer 3 unique floorplans specifically designed for this new up and coming neighborhood. GHO Homes has recently completed 2 decorated models for the neighborhood - the Avila and the Camino. The Camino, a 3 bedroom, 2 bath, 3 car garage home with a large great room and expansive covered patio and the Avila, a 2 bedroom, den, 2 1/2 bath, 2+ car garage home features a large great room, dining room and and owner’s workshop in the garage. In addition to the 2 decorated models, GHO Homes has 4 homes under construction that will be available for move-in this Spring. Although the community has had several pre-construction sales - you can still be one of the first homeowners to move into the neighborhood by taking advantage of one of the homes already under construction. Vero Beach, FL Whether you are looking for a new home, sold your home and do not have time to build or you just do not want to deal with the process of building a new home - GHO Homes has created the perfect opportunity for you in Serenoa. 5 Ready to Move-in or nearly ready to move in priced from $267,945 to $310,830 offering an array of upgrades. The Bimini - Lot 125, is a 2 bedroom plus den, 2 bath, 2 car garage, 1,712 square feet of living space and features an open floorpan with IMPACT GLASS windows and doors, NATURAL GAS, shaker style kitchen cabinets, 42” upper cabinets, granite countertops and stainless steel appliances including a 25 cu ft refrigerator and a bay window in the breakfast nook, 18” tile everywhere except the bedrooms and all bathrooms have raised vanities with granite tops and brushed nickel fixtures. And it is priced right at just $267,945 and ready for immediate move-in. The Bimini - Lot 148, is a 2 bedroom plus den, 2 bath, and extended 2 car garage, 1,712 square feet of living space, this home was the community model and is appointment as such, the furniture has been removed - the paint has been refreshed and it is ready for you to move in including stainless steel appliances, light fixtures, ceiling fans, free standing laundry tub, washer & dryer and so much more. Priced at just $279,990 - and ready for immediate move-in. The Grenadine - Lot 142, is a 2 bedroom plus large den, 2 bath, 2 car garage home with 1,832 square feet of living space is currently under construction and will be ready for move in this fall. This open floorpan home boasts IMPACT GLASS windows and sliding glass doors, NATURAL GAS, maple shaker style kitchen cabinets, 42” upper cabinets, a convenience package, Giallo Ornamental Granite and stainless steel appliances including double electric ovens, natural gas cooktop and a 25 cuft refrigerator. 18” tile is everywhere except the bedrooms, all bathrooms have raised vanities and brushed nickel plumbing fixtures. Move in this fall for just $269,955. The Glendale SP - a 2 bedroom plus den, 2 bath, 2 car garage home located on one of the last remaining lots in Phase 3 and offering a lake view, this home will be ready very soon for you to move in and celebrate the holidays in your new home. Boasting a gourmet kitchen with 42” upper cabinets, center island, quartz countertops, stainless steel appliances, natural gas, 18” x 18” tile everywhere except bedrooms, impact glass double pane windows and sliding glass doors, a master bath with a large roman shower and much more. Priced perfectly with all the bells as whistles at just $310,830. Our team has already begun the task of preparing for the pending storm and believe that the best way to communicate our plan and process is through a continuous stream of information that will be available on this webpage. Please continue to check back for additional information - however, we ask that you refrain from contacting us with individual requests until we complete our plan. As of Friday morning, if there is anything you feel we need to address, that has not already been addressed, you may reach out to us at storm@ghohomes.com. Any closings scheduled for the next two weeks will be reviewed after the storm passes and you will be contacted individually to advise status and closing dates. All scheduled warranty work for Thursday and Friday will be canceled to allow our team to take advantage of full-staff availability in preparing and securing job sites. As of today, all vertical construction has been scaled back to allow us to prepare and secure communities, models and homes under construction. We will attempt to have all full or partially filled dumpsters replaced with empty dumpsters. Any partially or fully filled dumpster that cannot be exchanged in time will be secured to the best of our abilities. All portolets will be moved or secured. Wednesday and Thursday our construction team will be visiting each community to remove all temporary signage, road drainage blocking bags and secure the job sites to the best of our abilities. Our subcontractors will be on site and all roofs with tile stacked will be banded and secured. Future GHO Homes' storm information will be updated on this page as it becomes available. Thank you in advance for your patience as we prepare for this storm. Located on Gatlin Blvd, their sales office provides buyers the opportunity to select and customize their new home from GHO Homes 12 floorplans, tour their decorated preview home showcasing the extensive included features GHO builds into every home, and drive GHO’s inventory of lots and homes under construction. In fact, GHO currently has 3 homes under construction that will be ready to move within the next 30 days. Own your own lot, GHO Homes can build on your lot too. In addition to single lot construction, GHO will be selling their community homes in Victoria Parc and Oak Alley from this new sales office. Currently, GHO Homes has 12 decorated models through the Treasure Coast for you to preview as well as 3-D walk-throughs of their models available on their website offering you the opportunity to tour their models without leaving your couch.GHO Homes may seem like a new builder to most people in Port St Lucie, but in fact most of you have driven past one of their signs or communities in your new home search, however, most believe them to only be a community home builder. It is true that GHO Homes is currently building in over 15 communities on the Treasure Coast, however, they also build on single lots. And with the sellout of their 2 St Lucie county communities eminent, they have opened a sales office dedicated to the sale and construction of new homes throughout western Port St Lucie. “Everybody knows us as a ‘Community’ builder, but the fact is we are and have been building homes on individual lots throughout Martin, St. Lucie and Indian River counties for some time.” stated Bill Handler, President of GHO Homes. He continued “However, with the growth of the Port St. Lucie’s new home market, it was time for us to put a sales team in place to specifically cover this area”.GHO Homes new sales division for Port St Lucie is called the “St. Lucie Collection” and offers 12 floorplans with varies elevation and roofing options giving you a wide selection of choices for your new home. Priced from the low $200s including a standard lot, a ton of standard features,and a multitude of options from their Tailor Made program. custom options within their 2-4 bedroom homes with 2-3+ car garages ranging from 1,854 to 2,861 a/c sqft of living space. One of the major differences between a GHO home and other builder’s homes are the standard features, which including 42” kitchen cabinets, granite or quartz kitchen countertops and backsplashes, tile walk-in master bathroom showers, tile in all living areas (except bedrooms & den), high ceilings throughout (min. 9’), 8’ interior doors throughout, Rheem 16 SEER high efficiency a/c systems, paver driveways, walkways and patios, irrigation system and much more. Visit their website, ghohomes.com/slc or their sales office for more information. The Bimini - Lot 112, is a 2 bedroom plus den, 2 bath, 2 car garage, 1,712 square feet of living space and features an open floorpan with IMPACT GLASS windows and doors, NATURAL GAS, shaker style kitchen cabinets, 42” upper cabinets, granite countertops and stainless steel appliances including a 25 cu ft refrigerator and a bay window in the breakfast nook, 18” tile everywhere except the bedrooms and all bathrooms have raised vanities with granite tops and brushed nickel fixtures. And it is priced right at just $267,945 and ready for immediate move-in. The Bimini - Lot 148, is a 2 bedroom plus den, 2 bath, and extended 2 car garage, 1,712 square feet of living space, this home was the community model and is appointment as such, the furniture has been removed - the window treatments are staying with the home, the paint has been refreshed and it is ready for you to move in including stainless steel appliances, light fixtures, ceiling fans, free standing laundry tub, washer & dryer and so much more. Priced at just $282,000 - and ready for immediate move-in. Ask Diana Leever, your sales representative about other lots with Bimini floor plans under contract for move-in in the next 45 days. The Glendale SP - a 2 bedroom plus den, 2 bath, 2 car garage home located on one of the last remaining lots in Phase 3 and offering a lake view, this home will be ready this fall for you to move in and celebrate the holidays in your new home. Boasting a gourmet kitchen with 42” upper cabinets, center island, quartz countertops, stainless steel appliances, natural gas, 18” x 18” tile everywhere except bedrooms, impact glass double pane windows and sliding glass doors, a master bath with a large roman shower and much more. Priced perfectly with all the bells as whistles at just $307,830. Depending on your budget, some buyers just do not have the luxury of customizing a home and waiting months to be able to move in. That is why GHO Homes works hard to keep a supply of new homes under construction for those specific buyers. At any given time, GHO has 20 to 30 homes in the pipeline at different stages of construction and price points to fill those needs. Currently GHO Homes has at least one home ready in each community and additions homes ready every 90 days somewhere throughout St Lucie and Indian River County ranging from the $200s to over $700 on the Island.In North Vero, located off 58th and 81st Summer Lake has one of GHO Homes most popular floorplans – The Avalon. A 3 bedroom, 3 Bath, 2 car garage home with tons of options including the super kitchen option, custom tumbled marble backsplash and smooth granite countertops, extended 2nd and 3rd bedrooms, impact resistant windows throughout and priced at just $303,990. In South Vero - Serenoa has 2 Bimini’s available. One is the decorated model in Phase 1 that has just become available as the sales office and models have moved to Phase 3. The Bimini is a 2 bedroom, den, 2 car garage homes priced at $267,945 and $282,00.The Glendale – a 2 bedroom, den, 2 bath, 2 car garage home is available in Millstone at a move in ready price of just $289,595.Lake Sapphire offers the larger homes and currently has a beautiful decorated Sawgrass model for sale. Priced without furniture at $580,000 – however, the furniture is also available for purchase.Looking for something on the Island, schedule an appointment to see the new Tradewinds home on Pirate’s Cove Lane on the island south of the 17th Street bridge. Walk to the beach from this 3 bedroom, den, 3 bath, oversized 2 car garage POOL home for sale at just $769,575. Didn’t see the information on a community you are interested – visit the GHO Homes website at www.ghohomes.com/inventory for a full list of homes available or coming soon. OR visit any of our 10 sales offices throughout the Treasure Coast for specifics on available, coming soon or to be built homes. If you are considering a new home, then there really is no better choice that Vero Beach and GHO Homes – the hard decision will come in selecting what is your favorite GHO Homes community. Summer Lake, one of GHO Homes new communities is a gated neighborhood of 91 homes around a stocked lake, community fishing dock, community park and gated dog park just minutes to shopping and the beaches. GHO Homes offers 14 floorplans, multiple elevation options with 2 decorated models and several move-in ready home options. If you are not looking to build, take advantage of one of move-in ready options including one of their most popular plan options the Avalon on Lot 11 – a 3 bedroom, 3 bath, 2+ car garage home covering 2,284 a/c square feet and a total of 3,249 total square feet with many options already including 42” kitchen cabinets, stainless steel GE appliances, granite countertops, tumbled marble backsplash and impact resistant windows and doors – and priced at just $299,990. And keep in mind the HOA fees are under $70 per month. Compare those options to homes in Palm Beach County – and you will have the answer as to why GHO Homes and Vero Beach. GHO Homes offers a full array of communities and amenity options from attached villas to luxury homes. Visit the website at ghohomes.com for a full list of options and take a look at the Inventory Page and review all the options for Move-in Ready homes that are ready now or will be ready in the immediate future. The GHO Homes has 8 sales offices in Indian River County (as well as 3 additional sales offices in St Lucie County) open Monday – Saturday 10 – 5 p.m. and Sunday 12-5 p.m.
Sebastian-Vero Beach has moved up nine spots in U.S. metro population rankings. The biggest mover on the ranking chart was Sebastian-Vero Beach, FL, which sits along the Atlantic coast about 80 miles north of West Palm Beach. Sebastian-Vero Beach climbed up nine steps in the rankings — going from the 280th largest metro area in 2015 to the 271st largest in 2016.“The majority of the growth there since 2010 has been retirees, and it’s likely that is what’s fueling the recent spike in growth,” says Rich Doty, a research demographer at the University of Florida’s Bureau of Economic and Business Research.Doty says that as Sebastian-Vero Beach gets bigger, it’ll grapple more with issues such as roads, utilities and health care services.Based on projections from the Bureau of Economic and Business Research, those issues won’t be subsiding in the foreseeable future. The bureau predicts Sebastian-Vero Beach will be home to over 176,000 residents in 2030, up more than 16 percent from 2016.Aside from bragging rights, what does it mean for Sebastian-Vero Beach (or any other metro area) to soar in the population rankings? Doty says a higher population ranking could be used by economic development boosters to market the region. Sebastian Inlet Park is among the outdoor amenities in the Sebastian-Vero Beach area. Helene Caseltine, economic development director at the Indian River County Chamber of Commerce in Vero Beach, says the region has not experienced “explosive” growth like other areas of Florida have. But the one-county metro is attracting its fair share of new arrivals.“Many of those who move into our county are those who have previously vacationed here or have family here, primarily from the Northeast,” Caseltine says. “And as more baby boomers enter retirement, they like the easy and laid-back lifestyle offered in Indian River County. Plus our cost of living is much lower than the areas from where they’ve relocated.”Some of the people who are relocating to Sebastian-Vero Beach left after high school or college but are migrating back after “realizing that Indian River County is a great place to raise a family,” Caseltine says. The Treasure Coast Builders Association annual Parade of Homes was a tremendous success for GHO Homes this year - providing them with 5 Platinum Awards and 1 Gold Award for their entries this year. Entries are judged by a panel of judges from outside the treasure coast area with an expertise in construction, design and/or real estate and the top entries in each pricing category are award silver, gold or platinum. In April, the TCBA will announce the winners of the Grande Award - in which the platinum award winners from all three counties are judged against each other and one is award the Grande Award per pricing category. “We are extremely pleased with the recognition of our new models. The Tacoma, Magnolia, Coquina and Tradewinds are all new plans and new models that have just been completed in the last several months and we are excited to continue to bring new and updated floorpans to our future homeowners” Stated Bill Handler, president of GHO Homes. “Our floorpans evolve through feedback from our customers and our team works every day to consistently produce award winning homes” continued Mr. Handler. GHO Homes received a Platinum Award from the Tacoma Model in Summer Lake, the Magnolia Model in Lily’s Cay, the Coquina Model in Berkley’s Square, the Larkin Model in Three Oaks and the Tradewinds Floorplan - a move-in ready home on the island in Vero Beach. Additionally, their new Amberjack move-in ready home in Port St Lucie, in the Torino area, won a Gold Award. Vero Beach, FL You heard it here! The Three Oaks neighborhood is a gated, intimate community of attached villas includes lawn maintenance, gated entry, community lake, and a community clubhouse consist of exercise/fitness room, community pool and gathering room for community events all for the low HOA fee of $125 per month. Add in the fantastic location just off SR 60 at 74th Street in Vero Beach and the 2 bedroom and 3 bedroom villas by GHO Homes and you have the perfect new home opportunity. "Three Oaks gives us the opportunity to build a quality new home for those seeking the Vero Beach lifestyle, the advantages of a new home, and the features of GHO - all for a price starting in the low $200,000.” explained Bill Handler, President of GHO Homes. Three Oaks offers 4 floorplan options in their 2 & 3 unit, single story villas and single family homes all with 2 car garages. Vero Beach, FL GHO Homes has built their stellar reputation on their commitment to quality, customization of plans and having standard features that are above the industry standard and their competition. In fact, the majority of their standard features are considered custom options by most builders and even the mention of structural changes/floorplan modifications are taboo to most, but very standard at GHO Homes. In fact, over 50% over all homes built by GHO Homes in the last several years have been customized to fit the new homeowners exact needs – from minimal changes such as extending a patio to larger modifications to include dual master suites or in-law quarters or the extension of a garage to incorporate a workshop. Additionally, GHO Homes has recently opened a 3,200 square foot design studio to work directly with buyers in one on one sessions to choose their flooring, cabinets, fixtures and so much more. “In Millstone Landing we provide standard features and options that are not available from the other homebuilders in the community – and that sets us part and allows us to build the perfect home that fits our homeowners lifestyle” stated Nicole Morris, GHO homes sales representative in Millstone Landing. In Millstone Landing, the standard features are what set them apart. Some of the most visible standard feature differences are the wood raised 42” upper kitchen cabinets, quartz or granite kitchen countertops, GE stainless steel appliances including a side-by-side refrigerator, free standing glass top range, microwave installed over the range and insulated, multi-cycle dishwasher, oversized walk-in Roman showers, ceramic tile bathroom floors, walls and shower floors, 8’ colonist raised panel interior doors with oversized casing, ceramic tile flooring in foyer, kitchen, halls, great room, family room and living room, 9’ minimum ceilings, impact front windows and side lights, rounded interior wall corners, NEST thermostat system, USB charging outlets in kitchen, automatic garage door opens and much more. However, there are other items that most homebuyers are unaware that GHO Homes includes in their standard construction package – double row steel & concrete bond beam, metal interior wall studs, 5/8” plywood roof sheathing – no particle board, Taexx build in pest control delivery system, and a16 Seer, Rheem air conditioning system. A full list of features is available on their website at www.ghohomes.com/millstonelanding or in the GHO Homes sales center in Millstone Landing. Following the success of their completion of the Diamond Court Village and Riverwind neighborhoods on Indian River Blvd, GHO HOMES is thrilled to announce the opening of their neighborhood - Lily’s Cay. This gated, natural community of Bermuda and West Indies inspired elevations offers 4 unique floorpans not offered in any of GHO community all designed to include a pool, screen enclosure and travertine patio pavers. The homes will range in size from the new Jasmine at 2,246 a/c square feet - a 2 bedroom, den, 2 1/2 bath, 2 car garage home from just $424,990 to the Dahlia a 3 bedroom, den, 2 1/2 bath bath, 2 car garage courtyard home from $472,990. And don’t forget, these prices include the pool, patio and screen enclosure but that is not all,they also include all the standard features GHO Homes is known for. Impact glass windows, sliding and glass doors, finished garage flooring, upgraded kitchen cabinets with crown molding, glass doors, light valances and soft-close doors, but a 36” wall mounted chimney hood, GE French Door stainless steel counter depth refrigerator, GE 30” Profile gas 5 burner cooktop and GE Profile dishwasher and so much more. The pool is a customized swimming pool design with salt water chlorination with a swim out at the pool entry - what more could you ask for? Well you don’t have to ask - there is more - 8’ solid core interior doors, 10’ Tall PGT Impact Glass Sliding Doors, rounded interior wall corners, high ceilings in all plans, granite or quartz countertops in the kitchens and bathrooms, crown molding in the foyer, great room, kitchen, living room, dining room and master bedroom, natural fishes wood open shelving in all closets, wall mounted TV Packages, Gas Tankless water heater, attic spray foam insulation and a 16 seer Rheem high efficiency air conditioner with a NEST Next Generation Learning Thermostat. For a full list of features, no, this is not the full list, visit the sales office or ghohomes.com/lilyscay. “One of the most desirable areas in Vero Beach is along Indian River Blvd, so this is the perfect place for us to launch our new Executive Pool Homes to the Vero Beach market. Who wouldn’t want to live in the center of everything, just minutes from the river and the beaches, dining, shopping, entertainment, medical services, etc. Lily’s Cay is the perfect location to enjoy the Vero Beach lifestyle” stated Bill Handler, president of GHO HOMES. Come out this weekend and tour the brand new Magnolia decorated model in Lily’s Cay and take advantage of pre-construction pricing before it ends. Port St Lucie, FL It’s hard to believe, but there are only 2 new homes left in all of Tradition by GHO HOMES and they are available in the community of Victoria Parc. GHO Homes has built their stellar reputation on their commitment to quality, customization of plans and having standard features that are above the industry standard and their competition. In fact, the majority of their standard features are considered custom options by most builders and even the mention of structural changes/floorplan modifications are taboo to most, but very standard at GHO Homes. These last 2 homes are no exception to this – however, you don’t have to wait, you can start enjoying your new home right away. Ready to Move in NOW – GHO Homes has just completed a beautiful Windermere 3 bedroom, 2 bath, 2 car garage home located on the inner Victoria Parc lake. One of the last chances for a new home on the water in this beautiful community and it is available for you to move in today. This home includes impact windows on the front of the home, a gourmet kitchen upgrade with double ovens and cooktop, 42” upper cabinets, and granite countertops and many more GHO standard features. Take advantage of this opportunity at just $269,990. Vero Beach, FL The community of Summer Lake opened its sales office and 2 decorated models last fall without a lot of fanfare and festivities - but you would not know it. “Sales have been above expectations in Summer Lake and we have pushed our release of the Phase III homes sites up and they are now available for reservations and sales” stated Bill Handler, President of GHO Homes. The biggest reason for the opening of Phase III early was to make additional lakefront homesites available to buyers this season. In addition to new lakefront homesites, GHO has moved forward with several inventory homes that buyers will be able to move in this season. Currently, there are 6 inventory homes under construction with 2 ready to move in now and the others will be ready to move in between now and April. For more information on all the available lots and inventory homes, visit www.ghohomes.com/summerlake. Vero Beach, FL The models are now OPEN in the new GHO Homes community, Summer Lake. Summer Lake will feature one of GHO Homes most popular floorpans in their new model - the Tacoma as well as one of their newest plan - the first to be completed Allston. In addition to 2 decorated models to tour, Summer Lake has 3 inventory homes nearing completing that are available to tour and will be ready for you to move in late August. Summer Lake, located on 81st Street (just north of the fairgrounds) on 58th Avenue, is a beautiful lakefront, gated community that feature some of GHO Homes most popular floorplans, a community dock, stocked lake for fishing, community park, designated dog park and a lifestyle that is so close to the beach that you can smell the ocean - well maybe not that close, but less than a 5 minute drive. 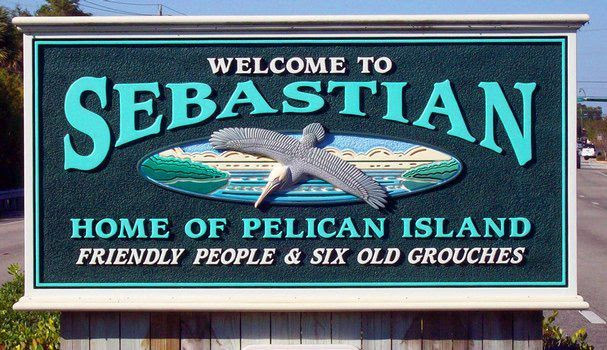 Not to mention all the great waterfront restaurants and shopping in quaint Sebastian just minutes away. While too many of Florida’s waterfront cities have succumbed to claustrophobic overdevelopment, tacky tourist traps, and high-rises, Vero Beach remains the breath of fresh air. Though classified as a city, Vero, with a strict policy that no building can exceed four stories, feels more like a seaside village. It’s the rare place we didn’t know still existed in the Sunshine State. Unique in many ways, Vero is a quietly sophisticated coastal hamlet where blue collar workers happily coexist with billionaires. Among its offerings: a world class art museum, top shelf street shopping, scenic natural wonders, and the best Atlantic beach south of Georgia. While most flock to Miami, Orlando, Tampa or the Keys (let them), Vero’s under-the-radar charms makes it the real resort getaway. It’s unsurprising that Oprah recently strolled the town’s Ocean Drive shopping district in broad daylight completely unnoticed. Vero Beach, FL Recently, GHO Homes introduced a new plan to the extensive list of floorpans available in their communities - the Allston. This 2 bedroom, den, 2 1/2 bath, 2+ car garage home boasts an impressive 2,095 air conditioned square feet and a total of 3,121 total square feet. You will enter through a formal foyer and vestibule in to the large great room and expansive kitchen. Specific features to look for in the design of the home are the build in 6’ Bar in the great room, full closet in the den, and array of arches and niches in the design of the home, a expansive covered patio, front porch and an impressive workshop in the garage extending depth of the garage to over 33 feet. “Periodically we review our floor plan, the modifications our clients are requesting and feedback from our clients and develop new plans that fit the need of our buyers. The Allston is a product of such collaboration and we are proud to offer it in Serenoa Pointe as well as several of our other neighborhood” expressed Bill Handler, president of GHO Homes. The pace of new home sales continues to pick up in Indian River County with 363 building permits issued this year so far, compared to about 230 in the same period last year. The market “feels back to normal,” said Bill Handler, president of Port St. Lucie-based GHO Homes, one of the largest new home builders in the area with construction underway in a dozen subdivisions in and around Vero Beach. New houses are sprouting from Sebastian to the St. Lucie county line, according to a map prepared by Will Rice of the county’s GIS Department showing new construction. Vero Beach, FL GHO Homes dominates the South Vero/ Oslo Road area with 5 new home communities with choices priced from the low $200s to over $500s. The latest of these communities is 4 Lakes. 4 Lakes, located just south of Oslo Road on 13th Street SW brings a gated, estate home community featuring some of GHO Homes most popular plans, as well as new ones. GHO Homes will be joining Lifestyles Homes in 4 Lakes, an intimate community of just 58 homesites featuring 4 community lakes, a beautiful gated entry, oversized homesites all tucked into a quiet enclave that makes you feel like you are miles away from the hustle and bustle of Vero Beach - but you are just around the corner from everything Vero has to offer. GHO Homes will offer 8 floor plans ranging from 2,260 sq.ft. under air in the Columbia Grande 4 bedroom, 2 bath, 2-car garage home with a starting price of just $335,190, to the Coquina, a new plan to the GHO line-up coming in with 2,727 a/c sq.ft. 3 bedrooms, den, 2 1/2 baths and a 3 car garage priced at just $398,190. Vero Beach, FL GHO Homes, well known for completing communities such as Bedford Park in Tradition, Trillium, Riverwind, Diamond Court Village, SouthLakes and Fieldstone Ranch in Vero Beach, has been a major part of the new home market on the Treasure Coast for years. But did you know they are more than a “new community” home builder? GHO Homes also works with land owners to build custom homes on their property as well. “We start with our wide selection of floorplans, find a plan that fits the basic elements the buyer is looking for and begin customizing the plan to fit their dream home.” stated Bill Handler, president of GHO Homes. Currently, GHO Homes is working on 3 such homes in Martin County in Meadow Run and Stuart West and 6 homes in central Vero - Copelands Landing. Crystal Falls, Bent Pines and Belle Terra, and 7 homes on the Island side of Vero - River Club by Carlton, Ocean Ridge, Smuggler’s Cove, Pirate’s Cove and on a private oceanfront lot. In the past year, GHO Homes has completed additional custom homes in Ocean Ridge, Seagrove, Venezia Estates, Cache Cay. Port St Lucie, FL GHO Homes has built their stellar reputation on their commitment to quality, customization of plans and having standard features that are above the industry standard and their competition. In fact, the majority of their standard features are considered custom options by most builders and even the mention of structural changes/floorplan modifications are taboo to most, but very standard at GHO Homes. In fact, over 50% over all homes built by GHO Homes in the last several years have been customized to fit the new homeowners exact needs – from minimal changes such as extending a patio to larger modifications to include dual master suites or in-law quarters or the extension of a garage to incorporate a workshop. Additionally, GHO Homes has recently opened a 3,200 square foot design studio to work directly with buyers in one on one sessions to choose their flooring, cabinets, fixtures and so much more. In Victoria Parc, the standard features are what set them apart. Some of the most visible standard feature differences are the wood raised 42” upper kitchen cabinets, quartz or granite kitchen countertops, GE stainless steel appliances including a side-by-side refrigerator, free standing glass top range, microwave installed over the range and insulated, multi-cycle dishwasher, oversized walk-in Roman showers, ceramic tile bathroom floors, walls and shower floors, 8’ colonist raised panel interior doors with oversized casing, ceramic tile flooring in foyer, kitchen, halls, great room, family room and living room, 9’ minimum ceilings, impact front windows and side lights, rounded interior wall corners, NEST thermostat system, NEST Protect wifi connected smoke and CO2 alarms, USB charging outlets in kitchen, automatic garage door opens and much more. Vero Beach, FL GHO Homes new model - The Verona features the West Indies elevation (one of 3 elevations available in this new home) - one of the latest elevation styles added to the GHO Homes gallery of options. This home showcases colorful plantation shutters, a workshop option on the front of the home opposite the 2 car, side load garage, and upgraded kitchen with stacked cabinets and farm sink, a club room off of the great room - perfect for entertaining, plus all the standard features GHO Homes has packed into their news community - Lake Sapphire. A must see model with a view of the beautiful Lake Sapphire that you just will not forget. The Verona is a 3 bedroom, den, 3 & 1/2 bath home with a new car garage and optional workshop with 3,186 square feet of living space and priced from just $460,990. St. Lucie County, FL If you haven’t been to Meadowood, you are definitely missing out on a hidden oasis in western St. Lucie County. Now is the time to consider making the move to this beautiful, established gated, golf course community. Meadowood is perfectly nestled in a natural country setting and features a manned, gated entry, an 18 hole, championship golf course and 5 Har Tru tennis courts, and a very active club with multiple membership options. And if you thought you could not afford to live in a gated country club community - Meadowood will prove you wrong with HOA fees that cover you water, sewer, basic cable, common area maintenance and manned gated security for less than $500 per QUARTER! Not per month - that is worth reading again - less than $500 per quarter - $165.00 per month. And with GHO Homes offering 11 floorplans starting at just $238,990 – Why haven’t you already made the choose to make Meadowood your new home. Vero Beach, FL GHO Homes has sold over 75% of the available homesites in Phase I and 2 of Serenoa - which has limited the number of available waterfront homesites within these phases. “With the excitement for the Serenoa community and with some potential purchasers seeking a larger homesite to accommodate a 3 car garage, we are please to announce the completion of the Phase 3 (Serenoa Pointe) land development and roadways. These homesites will be larger than those currently available in Phase I & 2 - an average of 75’ x 125’” Stated Bill Handler, President of GHO Homes. Of the 40 additional homesites that are now available in Serenoa Pointe, 17 lots will be on Lake Serenoa, increasing the available water lots expediently. Serenoa Pointe will feature 11 of GHO Homes most popular floor plans ranging from the Grenadine 2/2/2 with den and 1,832 a/c sqft at $235,990 to the Monaco Supreme 3/3/3 with a den and 2,584 a/c sqft at just $291,990. Each of these homes continue the porch theme of the community and offer shingle, metal and tile roof options. Vero Beach, FL GHO Homes has sold over 75% of the available homesites in Phase I and 2 of Serenoa - which has limited the number of available waterfront homesites within these phases. “With the excitement for the Serenoa community and with some potential purchasers seeking a larger homesite to accommodate a 3 car garage, we are please to announce the completion of the Phase 3 (Serenoa Point) land development and roadways. These homesites will be larger than those currently available in Phase I & 2 - an average of 75’ x 125’” Stated Bill Handler, President of GHO Homes. Of the 40 additional homesites that are now available in Serenoa Pointe, 17 lots will be on Lake Serenoa, increasing the available water lots expediently. Serenoa Pointe will feature 8 of GHO Homes most popular floor plans ranging from the Glendale 2/2/2 with den and 1,854 a/c sqft at $242,990 to the Monaco Supreme 3/3/3 with a den and 2,584 a/c sqft at just $291,990. Each of these homes continue the porch theme of the community and offer shingle, metal and tile roof options. Vero Beach, FL GHO Homes is proud to announce it’s newest north Vero community - Summer Lake. Located on 81st Street (just north of the fairgrounds) on 58th Avenue, Summer Lake is a beautiful lakefront, gated community that will feature some of GHO Homes most popular floorplans, a community dock, stocked lake for fishing, community park, designated dog park and a lifestyle that is so close to the beach that you can smell the ocean - well maybe not that close, but less than a 5 minute drive. Not to mention all the great waterfront restaurants and shopping in quaint Sebastian just minutes away. GHO Homes has a history of turning communities into successful neighborhoods, and Summer Lake will be no exception. Just north of one of GHO Homes most successful communities, Fieldstone Ranch; Summer Lake will offer many of the same floorplans and home features, including concrete tile roofs, paver driveways and porches, 42” kitchen cabinets, granite or quartz kitchen countertops, GE stainless steel appliances, high ceilings, rounded interior corners and tile in all living areas except the bedrooms and den. Additionally, Summer Lake will feature an upgrade to R40 insulation, RHEEM 16 seer, high efficiency air conditioning system, and a Nest Protect WiFi connected smoke & CO2 alarm located in the master bedroom and kitchen in addition to the Nest next generation learning thermostat that GHO Homes currently includes. For a full list of standard features, please visit the GHO Homes website. Vero Beach, FL GHO Homes new model - The Verona features the West Indies elevation (one of 3 elevations available in this new home) - one of the latest elevation styles added to the GHO Homes gallery of options. This home showcases colorful plantation shutters, a workshop option on the front of the home opposite the 2 car, side load garage, and upgraded kitchen with stacked cabinets and farm sink, a club room off of the great room - perfect for entertaining, plus all the standard features GHO Homes has packed into their news community - Lake Sapphire. A must see model with a view of the beautiful Lake Sapphire that you just will not forget. The Verona is a 3 bedroom, den, 3 & 1/2 bath home with a new car garage and optional workshop with 3,186 square feet of living space and priced from just $458,990. GHO Homes Lake Sapphire community, priced from the $400s to over the $700s, offers an array of high standard features including Impact Glass in all windows, sliders and glass doors, Icynene attic spray foam insulation, tankless gas water heater, upgraded kitchen layouts with crown molding and glass doors, GE Profile appliances including a natural gas 5 burner 36” cooktop, stainless steel vented hood, stainless steel french door refrigerator, multi-cycle with steam dishwasher and wall oven/microwave combination, granite kitchen countertops and bathroom vanity tops, ceramic & porcelain tile flooring options in all living areas (excludes den and bedrooms), crown molding in main living areas, den, dining room and master bedroom, and designer two tone interior pain- plus all the features that GHO Homes is known for - rounded interior corners, high ceilings, 8’ interior doors, and much much more. Vero Beach, FL If you have been sitting on the fence on whether to purchase a new home and where - now is the time to consider a GHO Home in Millstone Landing. GHO Homes has enjoyed a great summer sales season and is offering one last chance to take advantage of their summer incentive program before it comes to an end. Take advantage of special incentives on to be constructed homes as well as current inventory homes that will be ready for move in early 2016. “Sales have been better than expected over the last few months, so we have extended the summer incentives to continue that pace. However, these incentives will be discontinued in early November, so buyers should take advantage of these discounts now!”, stated Bill Handler, president of GHO Homes. So if you haven’t been one of the lucky new homeowners at Millstone Landing to cash in on these incentives - you still have a chance. But this opportunity will be ending soon! In addition to the quality features GHO Homes currently offers in Millstone (granite countertops, GE appliances, 42” kitchen cabinets, 8’ interior doors, high ceilings, rounded corners, tile in all main living areas - except den & bedrooms - and an array of other designer feature), they have put together a grand opening package that any homeowner would envy including: Gourmet Kitchen Package: Upgrade from a range to cooktop, two pot drawers under range and double wall ovens. Super Kitchen Package: Adds crown molding to the 42” cabinets, light valiance, glass mullion doors (per plan), pop up wall cabinet at the microwave and 24” deep wall cabinet with side panel at the refrigerator. Plus a GE french door refrigerator, panel knee wall around kitchen island to match cabinets. Additionally, GHO Homes is including impact glass windows and doors, crown molding and tile laid on a diagonal in all main living areas. GHO Homes offers 12 2,3 & 4 bedroom floor plans ranging from 1,634 a/c sqft to 2,931+ a/c sqft and priced from just $231,990. Choose from lake and preserve homesites. St Lucie County, FL If you haven’t been to Meadowood, you are definitely missing out on a hidden oasis in western St. Lucie County. Don’t wait any longer – GHO Homes has announced the extension of their Model Grand Opening Incentives, making this the best time to consider a new home in this beautiful, established gated, golf course community. GHO Homes, recently opened their new decorated model – the Tacoma and is celebrating their success in Meadowood by extending their Grand Opening Incentive Program until February 15th. Don’t wait – now is the time to act! In addition, Meadowood Golf & Country Club will provide all new homebuyers through GHO Homes a 3 month membership of their choice – whether that be a social, tennis or full golf membership, you will be able to experience all that Meadowood has to offer and decide your future membership level for yourself. And if this wasn’t enough, Meadowood has one of the lowest HOA fees on the Treasure Coast, just $495 per QUARTER including a 24 hour manned, gated entry, roving night security, basic cable, water and sewer. For this reason ALONE, you should consider Meadowood, but don’t forget, this community is outside the city limits and not subject to the city taxes that affect so many Port St Lucie and Vero Beach communities. Vero Beach, FL GHO Homes has sold nearly 75% of the available homesites in Phase I and 2 of Serenoa - which has limited the number of available waterfront homesites within these phases. “With the excitement for the Serenoa community and with some potential purchasers seeking a larger homesite to accommodate a 3 car garage, we are please to announce the completion of the Phase 3 (Serenoa Point) land development and roadways. These homesites will be larger than those currently available in Phase I & 2 - an average of 75’ x 125’” Stated Bill Handler, President of GHO Homes. Of the 40 additional homesites that are now available in Serenoa Pointe, 17 lots will be on Lake Serenoa, increasing the available water lots expediently. Vero Beach, FL If you are not familiar with or heard the name Ashley Lakes South - you have been missing out on one of the best kept secrets in Vero Beach ! This gated, boutique community of just 36 oversized homesites has a definite personally of it’s own. Located on the south side of 45th Street just east of 66th Avenue - it offers the perfect location to be outside of the hustle and bustle of downtown Vero Beach, but is close enough that you can be anywhere in just minutes. And with the larger homesites, GHO Homes is able to be bring some of their larger homes to the central Vero area - offering 6 floorpans starting in the low $300s with 3& 4 bedrooms and 2 & 3+ car garage options. The largest being the Gulfstream Grande - 3 Bedroom, Den 2/12 baths, 3 Car Garage and boasting 4,232 total square feet - and the newest floorpan - the Tacoma. The Tacoma is a 3 bedroom, 3 bath, den, 2+ car garage with 2,514 a/c square feet and 3,629 total square feet. Vero Beach, FL The wait is over! The newest decorated models in the GHO Homes lineup are now open in the Villas at Three Oaks. Located on the corner of SR60 and 74th Avenue, Three Oaks was an existing community left dominant by the recession and now has a new life, with new models, a new clubhouse/amenity center, and a fresh new energy thanks to the new developer, new management company and new builder - GHO Homes. “This beautiful community, located just minutes from I-95 and the shopping corridor of SR 60, has undergone a revitalization - and we are excited to present it to you” - stated the developer, Bob McKinley. “Three Oaks gives us the opportunity to build a quality new home for those seeking the Vero Beach lifestyle, the advantages of a new home, and the features of GHO - all for a price starting under $200,000.” explained Bill Handler, President of GHO Homes. Three Oaks will offer 4 floorpan options in their 2 & 3 unit, single story villas and single family homes. In Victoria Parc, the standard features are what set them apart. Some of the most visible standard feature differences are the wood raised 42” upper kitchen cabinets, quartz or granite kitchen countertops, GE stainless steel appliances including a side-by-side refrigerator, free standing glass top range, microwave installed over the range and insulated, multi-cycle dishwasher, oversized walk-in Roman showers, ceramic tile bathroom floors, walls and shower floors, 8’ colonist raised panel interior doors with oversized casing, ceramic tile flooring in foyer, kitchen, halls, great room, family room and living room, 9’ minimum ceilings, impact front windows and side lights, rounded interior wall corners, NEST thermostat system, NEST Protect wifi connected smoke and CO2 alarms, USB charging outlets in kitchen, automatic garage door opens and much more. However, there are other items that most homebuyers are unaware that GHO Homes includes in their standard construction package – double row steel & concrete bond beam, metal interior wall studs, 5/8” plywood roof sheathing – no particle board, Taexx build in pest control delivery system, and a16 Seer, Rheem air conditioning system. A full list of features is available on their website at www.ghohomes.com or in the preview home within Victoria Parc. Fieldstone Ranch Announces FINAL CLOSEOUT PRICING EVENT! Vero Beach, FL - Fieldstone Ranch, one of Vero Beach’s best selling communities is fast approaching complete sellout! And with just 6 homesites left in this community of 129 homes, GHO Homes has announced a special pricing event to sell out this community immediately. On AUGUST 1ST - the remaining 6 homes within Fieldstone Ranch will be sold on a first come basis at special Closeout Pricing!! Do not let yourself be fooled into missing out on these great deals on great homesites INCLUDING LAKEFRONT lots! Move-in dates vary from 45 days to 8 months - making this an opportunity everyone can use to their advantage. “Take a drive through Fieldstone Ranch and see the maturity of the landscaping, the beauty of the lakes, the serenity of the neighborhood and the friendly nature of the homeowners. You will be impressed by the little details such as the beautiful entry, meandering streets, landscaped islands and variety in home styles. Fieldstone has been one of GHO Homes and Vero Beaches best selling communities over the last 4 years and this is the final opportunity to make Fieldstone Ranch your home.” raved Bill Handler, President of GHO Homes. Phase 3, Lot 29 - LAKEFRONT GLENDALE - 2 Bedroom, Den, 2 Bath Home with an Oversized 2 Car Garage, Large Covered Patio and IMPACT WINDOWS. Ready for Move - in by Mid September. LISTING PRICE: $301,585 CLOSEOUT PRICED AT JUST: $279,585. Phase 3, Lot 21 - LAKEFRONT CARMEL GRANDE 12 - 3 Bedroom, Den 2 1/2 Bath, 2 Car Garage Home. Upgrades to this home include Gourmet & Super Kitchen, IMPACT WINDOWS, Powder Bathroom, Bay Window in Master Bedroom, Deco Tile in ALL Bathrooms, Den with Pocket Doors and Tile Flooring, Two Tone Interior Paint and Brushed Nickel Bath Fixtures. Ready for Move in this Fall and CLOSEOUT PRICED AT JUST: $307,765 - a $35,000 DISCOUNT! Vero Beach, FL Whether you are looking for a new home, sold your home and do not have time to build or you just do not want to deal with the process of building a new home - GHO Homes has created the perfect opportunity for you in Serenoa. 5 Ready to Move-in 2 & 3 bedroom homes priced from $243,440 to $267,895 offering an array of upgrades. Vero Beach, FL GHO Homes new model - The Verona features the West Indies elevation (one of 3 elevations available in this new home) - one of the latest elevation styles added to the GHO Homes gallery of options. This home showcases colorful plantation shutters, a workshop option on the front of the home opposite the 2 car, side load garage, and upgraded kitchen with stacked cabinets and farm sink, a club room off of the great room - perfect for entertaining, plus all the standard features GHO Homes has packed into their news community - Lake Sapphire. A must see model with a view of the beautiful Lake Sapphire that you just will not forget. The Verona is a 3 bedroom, den, 3 & 1/2 bath home with a new car garage and optional workshop with 3,186 square feet of living space and priced from just $444,990. St Lucie County, FL - A Hidden Gem! A Golfing Oasis! A Tennis Frenzy! An Active Social Club! All adjectives previously used to describe Meadowood - however the new BUZZ word within the community is GHO HOMES! GHO Homes is excited to bring their quality home designs to the residents of Meadowood and have the opportunity to offer our homebuyers the impressive lifestyle afforded to the residents of the community. This fabulous gated, country club community is nestled in a natural country lifestyle and features a manned, gated entry, an 18 hole, championship golf course and 5 Har Tru tennis courts, and a very active club with multiple membership options. GHO Homes is currently under construction on a Tacoma Model that will open this summer. The Tacoma is a 3 bedroom, den, 3 bath home with 2,514 a/c square feet. In addition to the Tacoma, GHO Homes is offering 11 of their most popular plans ranging from the Biscayne Grande at 1,971 a/c square feet to the popular Sawgrass floor plan boasting 2,987 a/c square feet and just under 4,000 square feet of total square feet including a large covered patio and offering tailor made options that give you the ability to convert the standard plan with separate living and family rooms to a great room plan. Home prices start at $230,990 excluding the price of the lot and lot prep. All the homes will feature the spectacular features GHO Homes has become know for on the Treasure Coast - 8’ interior doors, high ceilings, rounded interior corners, granite kitchen countertops, tile flooring in all main living areas, GE appliances, designer arches and niches, NEST learning thermostat and much more - and with 12 decorated models between Port St Lucie and Vero Beach, you have the opportunity to tour most of the homes offer by GHO Homes in Meadowood. Vero Beach, FL What a success Fieldstone Ranch has been for GHO Homes - selling over 100 homes in only 3 years, this community has blossomed from a dead end street to a buzzing community. At this point, the community is a hub of activity with construction on every street, but this is all coming to an end soon as there are fewer than a dozen homesites remaining in the community. If you have been waiting and watching these last 3 years, now is the best time to consider Fieldstone Ranch - some of the best lots are still available including lake home sites. If building is not in your plans, GHO Homes has a 2 homes under construction for move in this fall including the very popular Carmel Grande 12 located on Lake Fieldstone. This 3 bedrooms, den, 2 bath, 3 car garage lakefront home has granite counter tops, 42” kitchen cabinet uppers, stainless steel appliances, upgraded bathroom tile, living room floor outlet, additional high hats, tile in all the main living area, rounded drywall corners throughout, NEST thermostat and did we mention 3 car garage! This home is priced at just $335,875 and will be ready to move in just in time for Fall. If you are looking for a smaller home - the Glendale on Lot 29 will be ready in late Summer - a 2 bedroom, den, 2 car garage with impact windows, interior two tone paint, upgraded Super Kitchen Package, tumbled marble backsplash and so much more for just $292,945. If you are considering building, Fieldstone Ranch offers some of GHO Homes most popular floor plans, featuring 2, 3 and 4 bedroom homes with 2 and 3 garage options and room for a pool. Priced from just $237,990, Fieldstone Ranch is the perfect location, at the perfect price at the perfect time - but hurry there are only a handful of lots left. Vero Beach, FL It is what you have been waiting for - the grand opening of the two new decorated models in Millstone Landing and IT’S HERE!! The new Monaco Supreme and Carmel Grande 12 Models are now open. Be one of the first to tour and take advantage of the unique lakefront opportunities that GHO Homes has to offer in Millstone Landing. Vero Beach, FL GHO Homes has expanded their communities and reach in the Vero Beach marketing with the construction of Executive Homes in the Riverwind Community, located along Vero’s popular Indian River Blvd. This expansion of the GHO Homes brand into the eastern area of the city guarantee’s their buyers the same exceptional details as in their other communities, but with the availability of larger homes and, of course, the exceptional location. The Barrington, the new, decorated model in the community, boasts 3,086 sprawling square feet of living space with 3 bedrooms, den, 3 & 1/2 baths and an open concept great room that you just won’t believe. When Nancy Villafane, GHO Homes Design Consultant, was asked to design the model from per perspective, she stated “Think of all the delicious coffee combinations you can create with the creams, lattes, mochas and espressos that are available today and you will find the color palette for the Barrington model. Just like a hot cup of joe, the colors are robust yet comforting. The gourmet kitchen draws you in with its over-sized, cappuccino color cabinets with clean, alabaster cabinetry as a back drop. Caesarstone Frosty Carrina quartz counter tops offer a more practical, yet identical, look to the real thing, Carrera Marble. Find your inner chef with state of the art GE Cafe appliances including a 36" built in Clean-Design cooktop, two convection wall ovens, warming drawer, stainless steel chimney hood, and a 28.6 French door refrigerator that even dispenses filtered hot water. And that's just the kitchen! Vero Beach, FL What a success Fieldstone Ranch has been for GHO Homes - selling over 100 homes in only 3 years, this community has blossomed from a dead end street to a buzzing community. At this point, the community is a hub of activity with construction on every street, but this is all coming to an end soon as there are fewer than a dozen homesites remaining in the community. Now is the best time to consider Fieldstone Ranch - some of the best lots are still available including lake and preserve home sites. If building is not in your plans, GHO Homes has a move-in ready Carmel Grande 12 home - 3 bedrooms, den, 2 bath, 2 car garage. This home has a super kitchen, granite counter tops, double wall ovens, stainless steel appliances, and an expanded patio with screen enclosure overlooking the beautiful preserve. This home is priced at just $297,490 and is ready for an immediate move in. If you are considering building, Fieldstone Ranch offers some of GHO Homes most popular floorplans, featuring 2, 3 and 4 bedroom homes with 2 and 3 garage options and room for a pool. Priced from just $237,990, Fieldstone Ranch is the perfect location, at the perfect price at the perfect time. GHO Homes invites you to Oak Alley this weekend to take advantage of Grand Opening Incentives and to be one of the first to tour their new model the Bridgeport - a 3 bedroom, den, 2 1/2 bath home showcasing their Durango Elevation which incorporates dry stacked stone details. This 2,306 a/c square foot home features a great room layout, covered patio, and an expansive master suite with a his and her walk - in closet. The Bridgeport Durango Elevation is the perfect mix of modern design and living with the outdoor space to take in the beautiful nature of Oak Alley. The Bridgeport is only of 14 floorpans offered in Oak Alley by GHO Homes - with the consideration of the multiple elevation options, the community will definitely keep it’s country charm as each home will have its own unique look. Some of the best lots in the community are now available, but do not wait, they will not last - come in this weekend and take advantage of the pre-construction pricing and grand opening incentives before they are gone. Even though this is the first model for GHO Homes in Oak Alley, it is not the first home built by them in this community. Their first homeowners are moving in and they have several homes under construction for new owners. Everyone is excited about the unique neighborhood of Oak Alley and GHO Homes is proud to be apart of its resurgence. Located off 25th Street, Just North of Midway in Fort Pierce, Oak Alley’s claim to fame is it’s nature preserves and location. The site plan is laid out to insure privacy for each home with a 15’ nature area between each home. The community also offers island water features, brick entry walls, community lighting, natural gas, and a community Boat & RV Storage area. Just minutes to I-95, shopping, boat launches, parks and schools, Oak Alley is perfectly located to take advantage of all St Lucie County has to offer. Vero Beach, FL What a year - well technically 10 months!! Serena opened for sales in March of 2014 with just one decorated model and a clubhouse. Now, this gated community has sold almost 50% of their phase I homesites, has 3 decorated models, celebrated the completion of the lake expansion project, cheered for the first group of homeowners to move in and has over a dozen homes currently under construction. “It wasn’t that long ago that Serenoa was an abandoned community - a victim of the economy, now it is a true success story and a sought after location” says Bill Handler, president of GHO Homes. “If you haven’t been to visit the community since it opened, wow - are you in for a surprise” continued Handler. Serenoa has so much to offer - this beautiful, intimate community is tucked away in the southeastern corner of Vero Beach but is so close to everything. Featuring an abundance of green spaces and nature preserves, this maintenance free lifestyle community offers the security of a gated entry, community street lighting, and a old Florida designed clubhouse with a fitness center, large community pool, pool table and ping pong table. GHO Homes is finishing out the first phase of the community with 6 floor plans ranging in size from 1,712+ square feet to 2,201+ square feet of living space - priced from just $210,990. Now is definitely the time to choose Serenoa. Visit our THREE decorated models this weekend. The Bimini - 2 Bedroom, Den, 2 Bath, 2 Car Garage 1,712 a/c square feet - priced from $210,990. The Windermere 2 Bedroom, Den, 2 Bath, 2 Car Garage 2,026 a/c square feet priced from $229,990. The Nassua 3 Bedroom, Den, 2 1/2 Bath, 2 Car Garage 2,201 a/c square feet - priced from $244,990. GHO Homes recently announced the expansion of sales in Tradition with the opportunity to build in the Victoria Parc community. Additionally, GHO Homes is now building homes in the gated, golf course community of Meadowood in Fort Pierce and their new model center will be opening in mid February in Oak Alley on 25th Street in Fort Pierce. Three new opportunities all offering a varied of models and opportunity. Victoria Parc at Tradition offers the community amenities of Tradition with an array of waterfront home sites in a gated community. Victoria Parc will feature the single family homes currently only available at GHO Homes Serenoa community in Vero Beach. 2 & 3 Bedroom floorplans, with a den and 2 car garage – ranging from 1,712 to 2,172+ a/c square feet with prices starting at just $229,990. For more information or to schedule a preview appointment, call 772-257-1100 ext 5. GHO Homes officially launched sales in Lake Mandarin at Citrus Spring – one of Indian River’s largest south county communities. This gated neighborhood boast 43 Lakefront home sites in an intimate community of only 77 homes, at its completion. While offering the privacy of an intimate community, Lake Mandarin has a big advantage over other neighborhoods of their size as they are part of the Citrus Springs community – offering RV/Boat storage, tennis courts, community clubhouse, pool, fitness center, library and active community event schedules with aerobic classes, water aerobics, book clubs, bridge clubs, crafts and so much more. Ashley Lakes South, located on 45th Street, just east of 66th Avenue, is an intimate neighborhood of just 36 estate home sites surrounded by mature landscaping and hidden behind a gated entry that truly keeps this community hidden from the outside world. However, behind these gates, these large home sites offer views of the 3 community lakes and plenty of room for a pool. “Ashley Lakes South is a great community – large lakes, gated entry, conveniently located in central Vero Beach and offers some of GHO Homes newest lineup of homes including the new Baldwin, Tradewinds & Tacoma models” states Bill Handler, President of GHO Homes. The Baldwin a 3 bedroom, 2 bath home with a den and a 3+ garage encompassing 2,623 square feet of air conditioned living area in over 3,600 total square feet. Priced from $315,990 and features 4 unique elevation options. If it is you are looking for the perfect family house – look no farther than the Gulfstream Grande. Large Family Room, Master Suite with 2 walk-in closets, corner soaking tub, walk-in roman shower, master bedroom with sitting area, Family or Guest wing with build-in learning center, pocket sliding glass doors from family room to the expansive covered patio – plus a 3 car garage. Absolutely must see plan with 2,980 a/c sq ft of living space – in 4,232 total square foot of home starting at $339,990. Visit GHOHomes.com for a full selection of floorplans and elevations available in Ashley Lakes South. GHO Homes is proud to support Art & Culture in Vero Beach by presenting the Asbury Short Film Concert - Saturday, February 7th, 2015. The Asbury Short Film Concert features twelve highly entertaining and enlightening mix of live action comedy, drama, and outstanding animated short films previously honored with Academy Award nominations or "Best of Show" awards at US and International Fim Festivals. Get your ticket's to this first ever - an hopefully annual - Vero Beach event. www.verobeachmuseum.org. Vero Beach, FL Even though the new model is still under construction - GHO Homes is hosting a Community Open House in the Community Clubhouse to showcase the community and the plans that we are bringing to Millstone Landing. Additionally, this weekend will be the first weekend for you to preview the floor plans for our new COURTYARD HOMES. GHO Homes is bringing the 11 floor plans currently offered in Fieldstone Ranch to Millstone Landing, as well as 4 new plans. The Marquesa, The Valencia, The Cayman, and The Cayman Jem. Millstone Landing will be the first opportunity for you to own one of these 4 new models. The Marquesa - Is a 2 Bedroom/Den/2 Car Garage with an expanded workshop area totaling 2,135 square foot of a/c living area and a total square footage of 2,881 sq.ft. This home features an expansive Master Suite, Open Great Room living - and did we mention the workshop in the garage? Port St. Lucie and Vero Beach, FL We are very thankful for the success this years that we have achieved in both our Port St Lucie and Vero Beach Communities. However, with that success means that we will soon be completing the communities and it is time to start selling the model homes. Fieldstone Ranch, one of our most popular Vero Beach communities in 2014, is down to it’s last handful of available lots and spec homes. The Carmel Grande 12 spec home is complete and ready to move in. 3 bedrooms, den, 2 bathrooms and a 2 car garage, this great room is plan is one of our most popular floor plans and includes a super kitchen with granite counter tops, double ovens, stainless appliances, expanded patin with screen enclosure overlooking a preserve. Priced at $303,990. If you are interested in a Lakefront homesite, consider our Carmel Grande 12 spec that is presently under construction and will be ready early Spring 2015 for just $379,000. Contract soon and you might be able to select your paint colors. For more information contact Sheryl Thomson at 561-385-2292. Bedford Park at Tradition has the have reached the final inventory GHO Homes is a happy to announce that they are officially in the final stretch in the beautiful Tradition community. A true park inspired community, Bedford Park has a clubhouse and pool, walking and biking paths, community parks, butterfly park, lake, open spaces, playgrounds and 2 dog parks! GHO Homes is closing their Madison decorated model - featuring a free formed pool with large sun shelf, water feature, tropical landscaping, impact windows on the front of the home, natural gas appliances, 2 car garage with a workshop or golf cart storage area. This home is currently a decorated model available for immediate move-in. Furniture & window treatments are not included in price, however light fixtures stay with the home. Priced at $345,930 for 3 bedrooms in a 2,305 square foot, rear load garage home. Vero Beach, FL Recently GHO HOMES announced the addition of Millstone Landing to their community opportunities in Vero Beach. The new models are under construction, but why wait to see what GHO Homes can offer you in Millstone Landing. Visit the temporary sales office this weekend in the Millstone Landing Community Clubhouse and take a look at the day in the life of those living in the community. Visit the clubhouse, tour the community, take a look at the terrific selection of lots GHO Homes has available in their first release - including lakefront homesites, and review the floor plans and options for the community. Now is the time to reserve your homesite and select your new home in this fantastic community. GHO Homes is bringing the 11 floor plans currently offered in Fieldstone Ranch to Millstone Landing. With 2 decorated models - the Carmel Grande 12 and the Monaco Supreme, Fieldstone Ranch is also the best place to play host to the temporary sales center for Millstone - until the model is completed in early 2015. Fieldstone Ranch has been one of GHO Homes and Vero Beach’s most successful new communities in the past few years, so it is only fitting that with the closeout of Fieldstone nearing, GHO Homes is bringing the 11 floor plans currently offered in Fieldstone Ranch to Millstone Landing. With 2 decorated models - the Carmel Grande 12 and the Monaco Supreme, Fieldstone Ranch is also the best place to play host to the temporary sales center for Millstone - until the model is completed in early 2015. Vero Beach, FL We have been talking about it for months, but until you actually see it - you don’t understand the significance of the lake expansion for Serenoa. The lakefront lots have had the excess vegetation removed - increasing the viewable lot area by 15’, and the lake expansion is now complete and you can see the impressive size of the new lake area. Now that is is complete it will start to fill. “Prior to now, you could not see the lake due to the vegetation. Buyers could not see the lake and visualize themselves on their porches overlooking the lake. Having the clearing done and the lake expansion has made a tremendous difference to the overall look and feel of the community and the buyers are raving about it.” Diana Leever, GHO Homes onsite sales person. Vero Beach, FL GHO Homes recently meet with the homeowners of Millstone Landing and announced that they will begin building in the Millstone Landing community in October. “It is important that we have the buy in of the community members when we move into an established community before we announce to the public. We want to be good neighbors, share with them what we are bringing to the table and let them know we are here to enhance the community. The meeting went well and the homeowners were very excited for our expansion into Millstone Landing.” stated Bill Handler, president of GHO Homes. With the permits issued for the first model, GHO Homes will be breaking ground this week on construction in the community. Fieldstone Ranch has been one of GHO Homes and Vero Beach’s most successful new communities in the past few years, so it is only fitting that with the closeout of Fieldstone nearing, GHO Homes is bringing the 11 floor plans currently offered in Fieldstone Ranch to Millstone Landing. With 2 decorated models - the Carmel Grande 12 and the Monaco Supreme, Fieldstone Ranch is also the best place to play host to the temporary sales center for Millstone - until the model is completed in early 2015. The Barrington, the new, decorated model in the community, boasts 3,086 sprawling square feet of living space with 3 bedrooms, den, 3 & 1/2 baths and an open concept great room that you just won’t believe. When Nancy Villafane, GHO Homes Design Consultant, was asked to design the model from per perspective, she stated “Think of all the delicious coffee combinations you can create with the creams, lattes, mochas and espressos that are available today and you will find the color palette for the Barrington model. The Chamber of Commerce honored 18 companies during its 17th annual Industry Appreciation Awards Thursday. The luncheon also paid tribute to the late John Dean, a local architect and community supporter who died earlier this year. The County Commission designated Sept. 15-19 as Industry Appreciation Week. Mid-sized Manufacturer of the Year: Nylacarb Corp.
Vero Beach, FL THREE, TRE, TRES, TRIOS, TRZY, TRI. No matter what language you speak - THREE Decorated Models is BIG news. “We are thrilled to have a 3rd decorated model in Serenoa. The homes we are building in this community are different than in our other GHO communities, so it made sense for us to offer more models for our customers to preview.” stated GHO Homes Sales Representative Diana Leever. The 3rd model - the WINDERMERE offers a different feel than the other two decorated models and at 2,026 sqft under air - 2,955 sqft total this great room - open plan home is a real showcase . This three bedroom, two bath home is decorated as a 2/2 with a den and features a great room living plan and an expansive master suite (15’4” x 22”) with it’s own sitting area. The Great Room features two triple sliders to really bring the outside in with wooded view and nature light - or the inside out for an expansive party space. From the roman soaking tub in the master suite to the vessel sink in the guest bath - every detail of this homes design and decor is definitely a cut above that just can’t be explained - you need to see it for yourself. INDIAN RIVER COUNTY - These are the type of homes you’d find on the barrier island. They offer “32963”-caliber luxury in ZIP codes heretofore considered rural. Who knew the area west of 74th Avenue would be such a draw for the luxury homebuyer? That’s why Genoni’s company, Beachland Homes Corp., decided to build an $825,000 model home on the mainland. The model home is just west of 74th Avenue off Eighth Street — or in the 32966 ZIP code. The actual address is 984 E. Polo Grounds Drive. Yes, it’s within a polo community, but Genoni says a home could be built anywhere, including the barrier island. That being said, there are 27 available lots in the polo community. Vero Beach, FL For the past month, Serenoa has been undergoing a significant amount of changes. The lakefront lots have had the excess vegetation removed - increasing the viewable lot area by 15’, and the lake expansion is at a point where you can see the impressive size of the new lake area. Within the next few weeks, the lake will be dug to it’s final depth and will start to fill. “Prior to now, you could not see the lake due to the vegetation. Buyers could not see the lake and visualize themselves on their porches overlooking the lake. Having the clearing done and the lake expansion underway has made a tremendous difference to the overall look and feel of the community.” Diana Leever, GHO Homes onsite sales person. Vero Beach, FL Maybe it was the opening of the first two models in Serenoa late in the season or just the pent up demand for the area and size of home that GHO Homes is offering in Serenoa - either way, Serenoa is selling and out pacing other GHO Homes communities in Vero Beach. “We delivered our models for Serenoa later than planned this season, but are very happy with the response in the market for this community” said Bill Handler, President of GHO Homes. He continued “ With the sales to date, we are moving up our timing on the start of Phase II”. In order to move up the start of Phase II, the digging will commence shortly to expand Lake Serenoa and redefine it’s borders. “We will be clearing out a large section of the scrub growth around the lake - which will actually increase the lot depth on some of the phase I lots along the lakeside by 10 - 15 feet and will provide a clear view of the lake from all of these homesites” proclaimed Diana Leever, Serenoa’s onsite sales person. Vero Beach, FL GHO Homes has expanded their communities and reach in the Vero Beach marketing with the construction of Executive Homes in the Riverwind and Diamond Court Village neighborhoods along Vero’s popular Indian River Blvd. This expansion of the GHO Homes brand into the eastern area of the city guarantee’s their buyers the same exceptional details as in their other communities, but with the availability of larger homes and, of course, the exceptional location. Vero Beach, FL GHO Homes is proud to announce the Grand Opening of their new decorated models and sales center in Serenoa. This beautiful, intimate community is tucked away in the southeastern corner of Vero Beach but is so close to everything. Featuring an abundance of green spaces and nature preserves, this maintenance free lifestyle community offers the security of a gated entry, community street lighting, and a old Florida designed clubhouse with a finiteness center, large community pool, pool table and ping pong table. GHO Homes is finishing out the first phase of the community with 6 models ranging in size from 1,712+ square feet to 2,201+ square feet of living space - priced from just $194,990. Vero Beach, FL Located just minutes from SR 60 off 82nd Avenue in Vero Beach, Stoney Brook Farms offers a unique opportunity for a tranquil country setting just outside the reach of the hustle and bustle of Vero Beach. Adding to the charm of Stoney Brook Farm, the amenities center features a beautiful plantation style clubhouse, luxurious Grand Room with a fireplace, fully-equipped kitchen, fitness center, men’s and women’s locker rooms, card room and conference room. Extend your social gatherings outside to the community pool overlooking Lake Julie, the tennis courts and the children’s playground. In addition to the luxury lifestyle that the clubhouse provides, Stoney Brook Farms offers the largest gated community homesites in the GHO Homes family of communities - ranging up to a 1/2 acre in size. These estate size homesites allow you to take advantage of the larger floor plans - from the Castello model at 2,497+ ac sq ft to the Varsari 100 LS at over 3,500 sq ft under air. Vero Beach, FL In late 2013, GHO Homes began the revitalization of the once -stalled Serenoa community in southeast Vero Beach with the update of the community clubhouse and the start of construction of a model and showcase home. Today, we are proud to announce the completion of the showcase home - the Nassau. The Nassau is a 3 bedroom plus den, 2 1/2 bath, 2 car garage home, encompassing 2,201 square feet of living space. The home features decorative rock exterior elements, an open floorplan, impact glass front windows, gourmet kitchen with double ovens, tile roof, huge covered and screened back patio, and lush tropical landscaping. Additionally, as in all GHO Homes, Dual Pane Insulated Low-E Glass Windows and Sliding Glass Doors, Paver Driveway, Front Walks and Covered Patio Floor, Wood Raised Panel Kitchen Cabinets 42" Uppers, Granite Kitchen Counter Top w/ 4" back splash, GE Stainless Steel Finish Appliance Package, Ceramic Tile throughout except bedrooms and den,, Colonist Raised Panel 8' Tall Interior Doors throughout, with oversized door casing and baseboard, Rounded Interior Wall Corners, and the NEST - Next Generation Learning Thermostat. Vero Beach, FL Fieldstone Ranch, one the most successful communities in Vero Beach, entered its final Phase of build out in November - however, in just 3 short months, they have 10 lots under contract and 4 reservations. With season just starting and over half the lots in the final phase spoken for, this could be the last opportunity to live in this exceptional location. The neighborhood of Oak Alley is a unique community and GHO Homes is proud to be apart of its resurgence. Located off 25th Street, Just North of Midway in Fort Pierce, Oak Alley’s claim to fame is it’s nature preserves and location. The site plan is laid out to insure privacy for each home with a 15’ nature area between each home. The community also offers island water features, brick entry walls, community lighting, natural gas, and a community Boat & RV Storage area. Just minutes to I-95, shopping, boat launches, parks and schools, Oak Alley is perfectly located to take advantage of all St Lucie County has to offer. As the economy has improved, GHO Homes has seen an large interest from prospects to find a new home that they could move into quickly or which they want the advantages of a new home but would prefer not to wait to build. To address this need and anticipating this trend would continue, in the Fall, GHO Homes began constructing a series of homes that would be completed and ready to move in this season. Bedford Park has or will have 6 such homes ranging in size and style from the Canterbury JEM 2 bedroom, 1,710 square feet home to the Madison 4 bedroom, 2,305 square foot home. These homes are priced from $218,800 to $293,675 and have take advantage of all the unique standard features of a GHO Homes but has also been individualized with custom features and details that you will have to see to believe. Vero Beach, FL GHO Homes is known for their quality construction and neighborhoods throughout Indian River County but rarely does an opportunity arise to incorporate these qualities into two communities like Diamond Court Village and Riverwind. Located off of Indian River Blvd - just north of the Hwy 60 Barber Bridge - Diamond Court Village and Riverwind are close to the Intracoastal Waterway, Indian River Medical Center, the beaches and shopping and dining of the barrier island and downtown Vero Beach. Inside the gated neighborhood of Diamond Court Village you will find 3 community lakes with fountains, streetlights, large homesites and a community maintenance program that provides common area landscaping & irrigation, lake maintenance, and individual lawn maintenance. However, this intimate community of just 50 estate homesites is selling quickly with just 3 remaining. If you are looking for a home to move in this season - GHO Homes currently has one "must see" homes available with a second home to be completed in February that would allow you to enjoy this season in your new home. However, if you would prefer a home to fit your specific needs, GHO Homes has five Taylor Made, customizable floorplans to choose from that could have you enjoying your new home later this year or for next season - whatever timing fits your need. GHO HOMES ANNOUNCES CLOSEOUT OPPORTUNITIES ON TWO LUXURY For more information, call (772) 257-1100, ext. 1 visit ghohomes.com, or email sales@ghohomes.com. The team at GHO Homes has endeared itself to customers for 25 years with its willingness to customize homes to meet their exact needs. Its unmatched Tailor- Made program offers numerous options and upgrades, far exceeding the standards of the industry and setting it apart from competitors. GHO customers also prize their unique, one-of-a-kind homes, at a value that is synced to their needs. GHO is justly proud of its numerous awards, too. Its outstanding teamwork and efficiency help bring customers back for second and even third homes. With the first model open and the community looking its best, reaction from the community has been extremely positive. The GHO Homes sales staff at South Lakes has been very busy showing off one of the newest additions to their Indian River County portfolio. And with the ability to completely customize each home, using $10,000 in free options, interest has been high. GHO Home was featured in a September 2012 article in 32963 Magazine. Vero Beach, FL/September 2012/ GHO Homes Corp. is pleased to offer their newest model, the Victoria, located in Stoney Brook Farms in Vero Beach. This comfortable but formal single floor lake front home is estate sized with over 3,800 of total square feet. The fabulous kitchen alone features two islands, a walk in pantry and a large breakfast nook. And the Master Bedroom Suite is spacious and luxurious with large walk-in his and hers closets, separate vanities, a garden tub and walk in shower with two seats. The Victoria model is extravagant in size and details, yet moderately priced, making it an unbelievable value, even in today’s market. In light of the closure of Digitial Domain, CBS 12 did a news story looking into the impact locall and the long term view of Tradition. GHO Homes was featured showing the success of it's Bedford Park at Tradition Community. Building a custom home shouldn’t be difficult or outrageously expensive. For more than 25 years, the expert team at GHO Homes, an award-winning home builder, has built dream homes for hundreds of happy customers. The GHO Homes Tailor Made Program is designed to make it easy for homebuyers to build a customized home in as quickly as five months on your lot or in one several desirable communities in Indian River and St. Lucie Counties. With a Tailor Made home, you can change a lot more than colors, flooring and trim. Starting with a portfolio of dozens of designer floor plans, ranging in size from 1,700 square feet to over 3,700 square feet, you select a base plan—or two—then then mix and match room layouts, add rooms, add a garage, expand rooms, raise ceilings, move walls, customize your kitchen and more. The only limit to a Tailor-Made home is your imagination. West Palm Beach -- GHO Homes Corp., builders of value-added new homes in South Florida for more than 25 years, is putting the finishing touches on an exciting new model home at the homebuilder’s newest residential community in Vero Beach, Park Lane Estates. According to Bill Handler, President of GHO Homes, the new Avalon model home at Park Lane Estates exemplifies the unprecedented levels of quality and value that today’s homebuyers can expect from GHO Homes. The Avalon model home in Park Lane Estates begins with a beautiful and convenient Vero Beach location. Built on an eye-appealing wooded home site, Avalon is a wonderful balance of open living and dedicated private spaces. The home features three bedrooms and can be expanded to a four-bedroom plan with a very cost-effective modification. The Avalon model further enhances family living with three bathrooms including master bath with large Roman shower, a formal entry, a sensational double island kitchen, and a two-car garage. The abundance of glass along the home’s rear and its large covered patio create an expansive environment, full of light and spaciousness. With 3,429 total square feet, the exciting new Avalon model represents a value-added new home design that offers lots of options and features, and is priced at $221,990. GHO Homes, currently building in Bedford Park at Tradition, raffled a flat screen television at WestFest, the community’s monthly event, and donated the money to Habitat for Humanity. PORT ST. LUCIE, FLORIDA – November, 2011 –GHO Homes Corporation, a well known and award winning home builder in South Florida, has barely begun building in the community of Tradition and already they are supporting the community’s events and residents. GHO Homes set up a booth at WestFest, the monthly street festival hosted by the community, and raffled tickets to win a flat screen television. The money raised, $250, was donated to Habitat for Humanity. Bill Handler, President of GHO Homes, said his company is proud to support Habitat for Humanity. “We’re very fortunate to have an organization like Habitat for Humanity in our community to help families own their own homes,” he said. “So many people want to own a home and have a vested interest in their community, but they simply don’t have the resources to begin the process. Habitat for Humanity helps them do just that.” The television was won by the D’Aragona family of Port St. Lucie. GHO recently purchased the remaining 93 lots in Bedford Park, a neighborhood within Tradition. GHO Homes will be offering several models at Bedford Park, including, the Canterbury at 1848 square feet, the Madison at 2305 square feet, The Hamilton at 2659 square feet and the largest model, the Halifax at 2850 square feet. All models have a minimum 3 bedroom, 2 bath, and 2 car garage. GHO Homes, one of the Treasures Coast's leading homebuilders, has announced that their Model Home Grand Opening at Bedford Park in Tradition is scheduled for early December 2011. It the positive economic news home builders have been waiting for. A small but measureable uptick in the number of new home permit applications. Peter Schaller explains the preparations happening in many of the half-built mega-communities. GHO Homes was featured in the Press Journal and on TCPALM.com, click to read full story. Lake Tangelo is an intimate community of just 62 home sites. GHO Homes has purchased the last of the remaining ten sites and all of them are lakefront. VERO BEACH, FLORIDA – SEPTEMBER, 2011 –GHO Homes Corporation, a well known and award winning home builder in South Florida, recently announced it has purchased the remaining ten home sites in Lake Tangelo and will be offering some of its most popular models for sale. Lake Tangelo is a private gated community within the larger gated community of Citrus Springs. Residents at Lake Tangelo enjoy a more secluded and private environment. With the beautiful large lake in the center and water bordering three sides of the community, nearly all the home sites in Lake Tangelo are waterfront, offering a more prestigious lifestyle. Lake Tangelo is centrally located in Vero Beach, minutes from the Indian River and Outlet Malls, fabulous restaurants and local outdoor activities. The Indian River Lagoon, beaches and golfing are also within a short drive. Citrus Springs is a Master Planned Community offering many amenities including a large swimming pool, fitness center, and tennis center. The models offered at Lake Tangelo include the Columbia, the Columbia Grande, The Carmel Grand, and the Sawgrass. These models are all 2,000 plus square feet and feature premium interior and exterior appointments. GHO Homes is well known for delivering custom homes in a cookie cutter world. They are proud to offer homebuyers their exclusive “GHO Tailor-Made Program,” which allows homebuyers to customize their new homes with numerous options, built-ins and upgrades that far exceed industry standards. Lake Tangelo is located off Oslo Road just west of 58th Avenue, in Southwest Vero Beach. For more information about the GHO Homes communities or to schedule your private tour of one of these beautiful models, contact John Fuchs or Patti Croswell at 772.257.1100 extension 3. GHO Homes has chosen Dale Sorensen Real Estate to be their exclusive broker/Realtor to market six communities in Indian River County. The six communities Dale Sorensen Real Estate will be marketing include Drexel Park at Trillium, Fieldstone Ranch, Lake Tangelo, South Lakes, Spyglass and Stoney Brook Farm. Dale Sorensen Jr., managing partner of Dale Sorensen Real Estate, was enthusiastic about the relationship. "We're excited to partner with a company that has been such an integral part of Vero Beach's history. Their homes are priced right and they've done a great job with their communities. GHO Homes are a perfect fit with our organization," he said in a news relea Homes has chosen Dale Sorensen Real Estate to be their exclusive broker/Realtor to market six communities in Indian River County. GHO Homes, one of Florida’s leading homebuilders, has announced that the new Columbia Grande Model home at South Lakes in Vero Beach is now open for homebuyers to tour. GHO Homes has a strong history of delivering what homebuyers want in the design and construction of affordable quality homes, and the Columbia Grande is the homebuilder’s latest example of providing what today’s homebuyer wants and needs. The new Columbia Grande Model boasts a stunning lakefront pool, designed to maximize enjoyment of the Florida lifestyle. At 3,028 total square feet – and 2,235 square feet of air-conditioned living space – the bright and open great room floor plan of Columbia Grande offers lots of inviting space for relaxing, entertaining and everyday living. Columbia’s split plan design also features four bedrooms, two baths, his and her private spaces/craft rooms/offices, and a two-car garage. As part of the “GHO Tailor-Made Program,” the Columbia can be customized to have a large three-car garage and one less bedroom. South Lakes offers Vero Beach homebuyers the luxury of large lots measuring 90' wide by 134' deep, and has several that are much larger. Other amenities include two sparkling lakes, a community dock, ample sidewalks, and gated entry (gates are currently open for new home sales access). South Lakes is an established, desirable community located at the crossroads of two of Vero Beach's main access roads. From this central location, I-95, shopping of all types, medical and professional offices, the beach, golf courses and more are just minutes away. Committed to excellence and customer satisfaction, the GHO Homes team has built more than 800 homes in Indian River County. For more information on South Lakes and the new Colombia furnished model home, call (772) 257-1100 ext. 3 or visit www.ghohomes.com. When Teri Hoover, Realtor with RE/MAX Beach and Beyond in Vero Beach, had exhausted a number of short sales, re-sales and other options but still could not find the home her customer really had in mind, she turned to GHO Homes. That’s when Teri and her homebuyer discovered that the GHO Homes’ “Tailor Made Program” could put a custom-designed, value-added new home well within the homebuyer’s budget. For more information on the GHO Homes Fieldstone Ranch “Year To Close” Program, call (772) 257-1100 x1 or visit their website at www.ghohomes.com. West Palm Beach --- GHO Homes Corp., has released pricing on a very limited number of oversize lakefront estate home lots at Spyglass, the homebuilder’s new Vero Beach estate home enclave. Spyglass is a community of just six private lakefront home sites, each of which contains over an acre of clear building area. With private preserves on each side and fronting Lake Spyglass, this beautiful and peaceful setting represents a truly limited opportunity for just a few fortunate homebuyers. The six oversized home sites are individually priced from $105,000 to $135,000. And homebuyers at Spyglass can choose from GHO Homes’ selection of luxurious estate home designs – which have been created specifically with the exceptional Spyglass home sites in mind – or can have GHO Homes custom-design and build the home of their dreams through the builder’s “Tailor-Made program.” Spyglass homebuyers also have the option of purchasing the lot only. With its extremely limited availability of just six estate home sites, Spyglass has been designed by GHO Homes for those who seek out the finest things in life. For homebuyers looking for one of the finest addresses in Vero Beach, Spyglass is definitely an exciting new option to consider very soon – because GHO Homes expects the six lakefront home sites to sell quickly. The Generation Series, offered exclusively by GHO Homes, has been inspired by the increase in “multi-generational” living – defined as including adults of at least two generations. With the Generation Series, GHO Homes provides today’s homebuyers with a wide range of floor plan options based on the builder’s most popular single family home designs, all at a value balanced to each family’s unique needs. GHO Homes’ Generation Series showcases innovative home design options of the builder’s most popular models, altered specifically with multi-generational families in mind. Designs include additional living quarters, first-floor master and guest suites, and large, open floor plans with plenty of gathering areas. All Generations Series homes by GHO are designed to provide maximum flexibility and privacy, as well as today’s most desired features and finishes. Illustrating this concept, GHO has prepared plan conversions of three of their most popular models, the Biscayne, the Mendicino and the Savannah. By specifically modifying the floor plans to enhance multi-generational living, they have created the Biscayne-Generations, Mendicino-Generations and Savannah-Generations. Best of all, GHO Homes is able to keep costs down while still offering homebuyers the same great homes designs and solid value that the company is renowned for. GHO Homes Corp., has announced that a new model home is now open at Fieldstone Ranch in Vero Beach. Homebuyers will now be able to get a close look at the Carmel model, a three-bedroom, two-bath waterfront home that also features a three-bay garage. Carmel’s single-story floor plan features 2,154 square feet of well-designed living space on an impressive oversize waterfront lot. The highly functional chef-inspired kitchen offers a breakfast nook, a large central granite-topped island, energy efficient appliances, and opens to the home’s great room and dining area. The great room also provides access to Carmel’s extended and inviting patio, perfect for outdoor enjoyment. West Palm Beach --- GHO Homes Corp., builders of value-added new homes in South Florida for more than 25 years, recently announced that it will soon begin construction of new homes in three Vero Beach residential communities, renewing its presence in the Treasure Coast. The three Vero Beach communities are Fieldstone Ranch, offering single-family estate-style homes on oversize lots on priced from the high $100's; Trillium, offering single-family homes from the mid $100's; and Stoney Brook, offering single-family estate homes on huge lots priced from the $290’s. All three residential communities are located in Vero Beach featuring easy Interstate access in a setting that is only minutes from the beach, shopping, dining, great K-12 schools, medical facilities, and recreational venues. GHO's New Home Sales Office is located in Fieldstone Ranch at 6125 77th Street in Vero Beach. From I-95, take Vero Beach exit 147 to Rt. 60 East. Turn left on 66th Avenue for 6 miles, then right on 77th Street. The entrance to Fieldstone Ranch is on the right. For more information on Fieldstone Ranch, Trillium and Stoney Brook, call (772) 257-1100 or email sales@ghohomes.com.